Yes, please return them with the packing slip attached. We reuse our insulated Fresh City totes and cooler bags over and over and over to keep costs down and to keep the planet up. By reusing, we avoid the use of tens of thousands of cardboard boxes each year, and keep items out of the landfill. 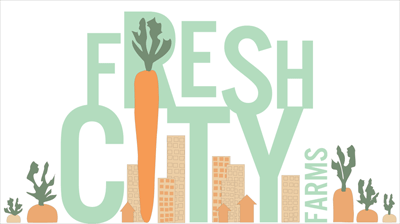 On the morning of your delivery, please leave out your empty Fresh City bag with the attached packing slip, along with any reusable items such as; cooler bags, insulated silver mailers, ice packs and smoothie/salad jars. If you pick up your bag, please leave your Fresh City bag + packing slip with any other reusable items at your Pickup Hub when you pick up your next order. Please note: you will be charged a $6.50 bag non-return fee if a bag is not returned within 100 days. We keep track of bag returns using the barcode on your packing slip, so please ensure it remains attached. If it becomes detached, please contact Member Support at 647-560-3939 or member@freshcityfarms.com so we can take note. Please be sure to rinse any jars, bottles and silver insulated mailers before returning. Please recycle any bubble wrap, plastic wrap, cardboard or paper packaging and do not return them with your bag. If there's a deposit sticker on your bottle, write your first and last name on the sticker to make sure we credit the deposit amount to your account.